In November 2018, Virat Kohli, the most followed active cricketer on social media, launched his mobile app by taking questions from fans. When one Indian fan expressed skepticism at the quality of current Indian batsmen, saying how he preferred those from abroad, Kohli suggested he move to another country. There was instant outrage from former cricketers and broadcasters, op-eds and thinkpieces flew thick and fast, and it all snowballed, until Kohli himself said, "I guess trolling isn't for me guys". It was a Social Media 101 lesson for celebrities: when in doubt, err on the side of caution, stick to being boring and clichéd. But there are some exceptions to those rules - active cricketers who aren't afraid to have an opinion, are happy to banter with fans and each other, and to shut down trolls, or be the troll, when needed. 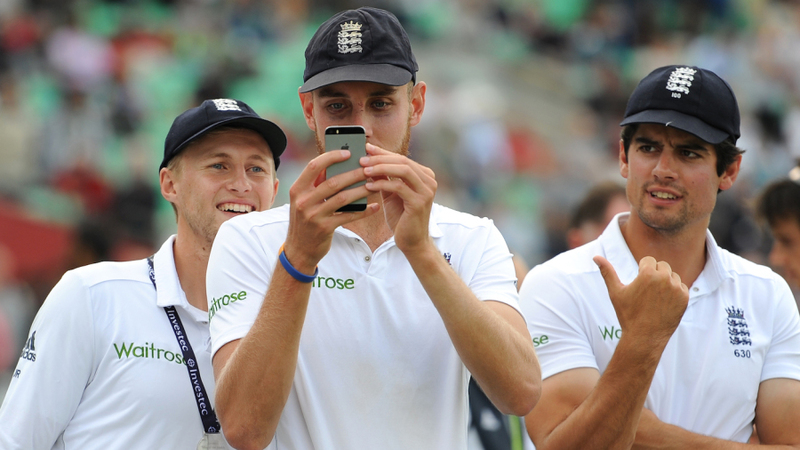 Broad is not your average social-media celeb: he doesn't, for one, seem to have a team vetting every word he puts out. He'll jump in with a comment on his team-mates' sponsored posts, and cannot resist a dig or two at their messaging or fashion sense. And England's No. 2 Test wicket-taker doesn't mind if they return the favour. Once, when Alex Hales made fun of a shoe-sponsor plug by Broad, asking if his boots "help you turn around to appeal at the umpire for once? ", Broad called out the "poor form" of his "cricket bant". 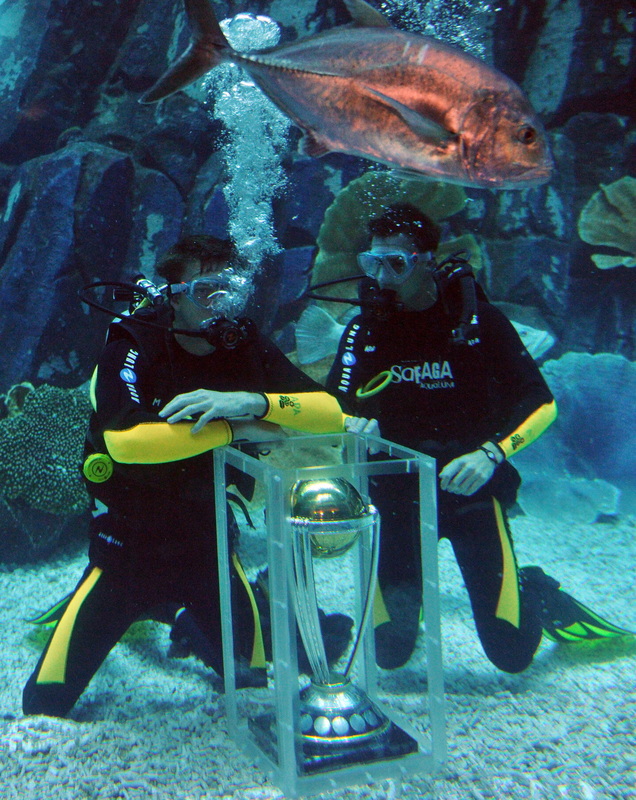 His tag-teaming with new-ball partner Jimmy Anderson is world-class - online, they're just two old mates having a whale of a time, not inaccessible stars living in bubbles. Perhaps Broad's most standout trait is his fondness for self-deprecation - pre-empting the troll, if you will. He also happens to be a celebrity Fantasy Premier League star, good enough to be a weekly world No. 1 in the intensely popular and competitive game. Quinton de Kock puns? Yep. Regular digs at Donald Trump? Done. Having a go at himself all the time? Triple check. Neesham's social-media feeds are a mishmash of no-holds-barred hot takes on every other major talking point in cricket and on trending global issues. He loves his low-scoring ODI thrillers and day-night Tests, can't get enough of Kane Williamson's batting and doesn't miss an opportunity to take potshots at cricket commentary clichés (from Channel 9 in particular). When Williamson was recently asked if all New Zealanders were as funny as Neesham, he joked that most are funnier. Neesham got back by venting passive-aggressively on every post featuring Williamson's response. Essentially, the Neesh is all of us on social media, except his cricket skills happen to be handy enough to play at the highest level. Pity, then, that despite all those viral tweets and Instagram posts, he only has a five-figure follower base - rather paltry for one of cricket's funniest accounts. @JimmyNeesh? More like Jimmy niche. Zampa's Instagram - @zampstagram - is set to private, but if you're not following him, you're seriously missing out. Those 84K followers are due - apart from his cricketing celebrity - in large part to his fashion sense and a passion for creating "dank" memes, using some rank-amateur-but-largely-effective Photoshop and video-editing skills. He even has his own take on Betoota Advocate, the Australian satirical news website. 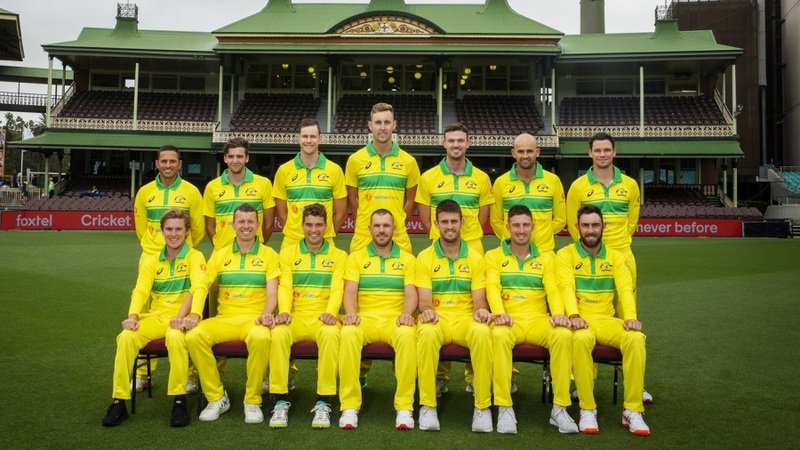 Zampa's favourite meme targets are South Australia and Australia team-mates Kane Richardson and Travis Head, but he cares not for stature nor reputation: even Ricky Ponting isn't spared in the quest for a few laughs. During IPL 2017, knowingly or not, Zampa and his girlfriend traded Hindi cuss words on Instagram, and the rest of the world collectively gasped and clutched their pearls. Zampa didn't really care. The post remains, the caption's gone, and neither party has felt the need to clarify any further. It's Zampa's online avatar in microcosm: doesn't take himself too seriously, and doesn't mind that his output at times veers towards what you might call risqué. Steyn's bouncers on social media are as good as those he hurls on the pitch. When Jacques Kallis recently remarked on Twitter that kids "play games on a computer", Steyn made sure to tell him "no one uses a computer anymore, they play on their phones, old fart". Drop by his social profiles and there are no agent contacts, no description of who he is or what he does; just "terrible guitar player" and "chasing the wild". The latter is a pervasive theme across a number of South African cricketers' accounts, and more so in Steyn's case, considering he grew up in and around Phalaborwa, a small town on the edge of the famous Kruger National Park. Steyn has also become the voice of the modern-day bowler and their plight, as rule change after rule change skews the game further against them and in favour of batsmen. Whenever a fast bowler delivers a great spell in Test cricket anywhere in the world, an endorsement from Steyn is never far away. His outspokenness sometimes boils over in the heat of the moment when he gets "triggered" on the odd occasion by comments from journalists and fans. It comes with the territory of being a stream-of-consciousness account, in a time when most sportsmen come across as agency-managed, cliché-heavy "brands" for whom communication has become a one-way street. Between them, Billings and Jason Roy have nearly 150 appearances for England. A lesser-known fact is that they are the Drone Bros, capturing their travels and documenting their photography on an Instagram page they run together. Less than a year since they started out, they have built up quite the catalogue of bird's-eye views of cricket grounds, landscapes and golf courses from around the world. Drone photography is just one arrow in Billings' social-media quiver. He is one of England's current crop of cricketers who have become known for their "lad banter" in public - Broad, Hales and Jos Buttler being the other prominent ones - from playing down each other's golf swings, posting videos from training sessions, and tagging top-level football clubs asking to be signed, to updates from their fiercely competitive video-game sessions. The latter is one of Billings' borderline obsessions, most specifically beating anyone and everyone at FIFA. He has admitted to taking his Xbox around wherever he goes, and there are stories from within T20 franchises about how competitive he gets while facing off against fellow cricketers, a fact evident from his "You're soooo junk at FIFA" tweets every once in a while, challenging others to take him on at the game. It's not all fun and games, though: Billings doesn't shy away from straight talk, be it on Associate cricket, or why the World Cup shouldn't have been reduced to ten teams. He is also a compulsive tweeter on all things Manchester United, the football club he supports, even going to the extent of engaging in banter with fans of rival clubs. Like Carlos Brathwaite, Billings has tips for the United manager from time to time, on the style of football his club should play, and players to buy in the transfer market. And he tags his mates for their opinions whenever there is a major news break or announcement.